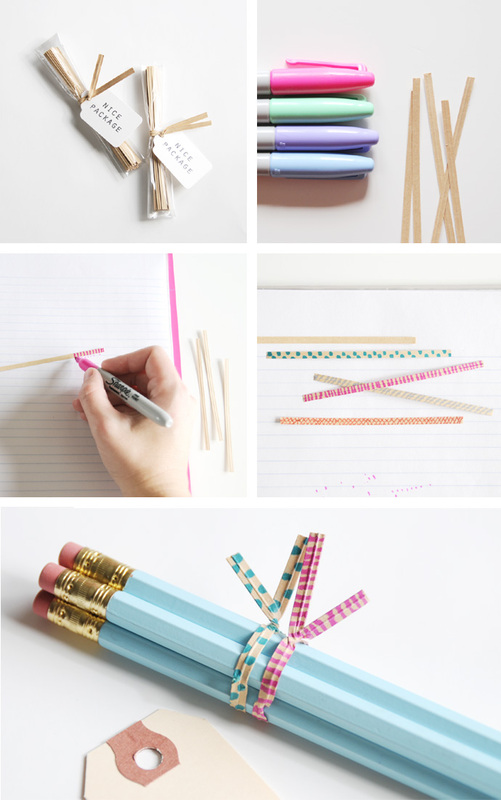 Today we put together a little project inspiration for you on how to make these sweet Patterned Twistie Ties using our new Kraft Twistie Ties. We got this idea from blogger Nancy Ward was kindly blogged about Nice Package a few weeks ago. Select markers and pens in your favorite colors. We used permanant markers and sparkly gel pens for ours. Working on protected surface (like a piece of scrap paper, or a notebook like we did) begin marking your twistie tie with stripes, dots, etc. Complete both sides. Have fun experimenting with colors and patterns. Wrap up small gifts, treat bags, and more!